Got craft clutter? If you’re a crafter, the answer is probably “yes!” Whether your favorite creative activities include beads, fabrics, yarn, paint, glue, paper, pens, glitter, thread or all of the above, you’re dealing with crafts supplies that can easily get out of hand (literally). 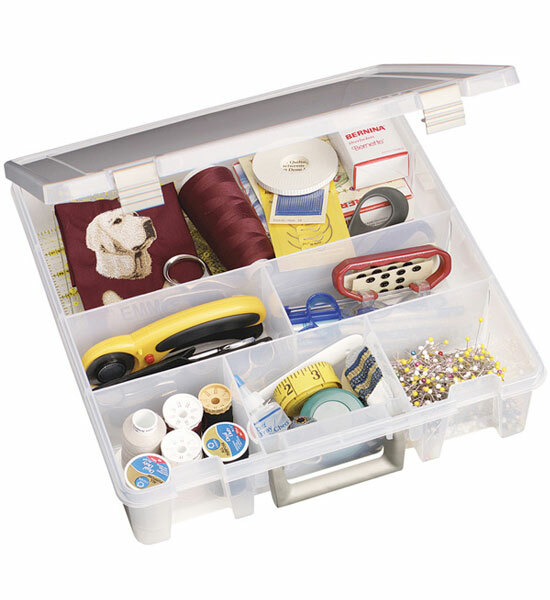 Artbins are divided containers made for organizing and storing sewing, knitting, scrapbooking, beading and other craft supplies. (Constructed of acid-free polypropylene, they’re safe for storing art supplies too.) One example is the Artbin Super Satchel which comes in two different models with fixed and stationary compartments. Easy to carry, with snap closures and convenient handles that fold neatly into a recess when not in use, the design is also easily stackable for storage. The Bead Storage Bag and Containers is a portable storage system consisting of a nylon carrying case that holds five removable and stackable clear plastic 10-1/2-inch long containers, each with 17 compartments (a total of 85 compartments). The carrying case itself is a storage center, with five Velcro-closure pockets for storing jewelry-making tools; a sewn-on heavy-duty handle is on top, and the bag also includes a removable shoulder strap . For storing larger arts & crafts materials, the Kids Art Supply Organizer is a terrific storage solution–just don’t be put off by the name. This clever cart isn’t just for kids: it’s a rolling organizer that’s ideal for serious crafters and artists of all ages. 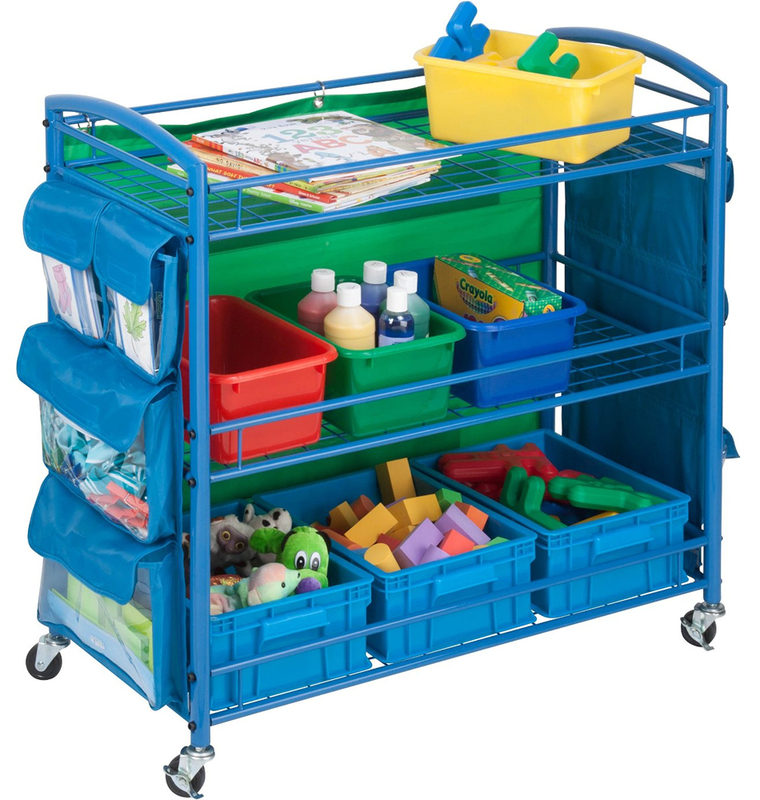 The blue metal frame has three shelves with three large bins and four medium bins (all included and removable), along with eight side pockets for holding small supplies. Locking casters make the cart easy to roll anywhere and then keep it safely in place. More arts & crafts organizers can be found here. This entry was posted in Craft Organization, Harriet's Blogs, Jewelry Organization, Miscellaneous Organization and tagged art supplies organizer, craft supplies storage, crafts organizer by Harriet. Bookmark the permalink.